Double glazing is almost the norm in modern houses. There are so many advantages over single glazed units that there is no reason not to fit it. It is the key to reducing your energy bills, keeping the warm air in, better insulation and reduced draughts. Double glazing also adds security with better locking systems, reduces noise from outside and reduces condensation. 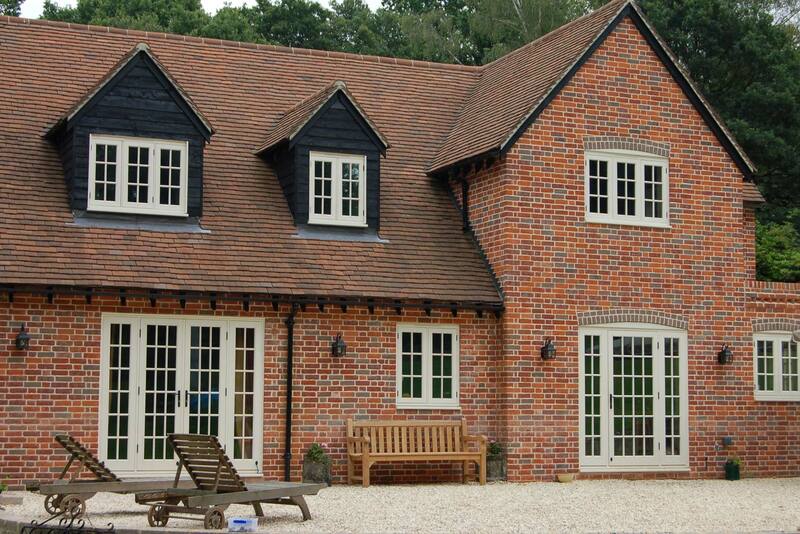 If you want to fit double glazing in your house you could do no better than to chose Camberley Glass and Windows. We are a local firm, established in 1965 as a family run group of companies, and have been working in Brookwood and the surrounding areas ever since. We have built our reputation as a trusted supplier and installer of glass and glazing products, with customer care at the forefront of out business. Our testimonials reflect this as does our high rating on Checkatrade. We are also on the Buckinghamshire and Surrey Trading Standards Approved list of traders. Our double glazing frames are available in a variety of materials, textures and finishes so you can be sure to find something to suit your needs whatever the style of your house. If you require only replacement glass rather than the whole frame we can do that too. All our windows come with a fully insured guarantee and are manufactured to exceed British Trading Standards. Why not visit our showroom at our offices in Camberley, Surrey and see the products on offer. We have a team of advisers and fitters who are fully qualified in all aspects of current requirements and regulations and are FENSA registered. We would be pleased to help you with your double glazing project, and are very happy to answer any questions you may have.